Nuno Nunes is Associate Professor of Computer Science at the University of Madeira, he holds an habilitation from the Faculty of Engineering of the U. Porto, a Ph.D in Software Engineering from U. Madeira and a MEng in informatics and computer engineering from the U. Lisbon (IST). Nuno has been working in the fields of software engineering and human-computer interaction for more than 15 years. He published numerous papers and edited several books on HCI and software engineering. He also had major roles in several SIGCHI conferences, including EICS, IUI, TEI, Interact and ITS. Nuno’s research interests lie in the application of models to software and system design, currently he's applying that to the domains of sustainability, service design and tools. Nuno is the scientific director for areas of HCI and Design of the Carnegie Mellon Portugal international partnership (www.cmuportugal.org). He is the president of the Board of the Regional Agency for R&D of the Autonomous Region of Madeira (ARDITI) and also president of the Madeira Interactive Technologies Institute (Madeira-ITI). 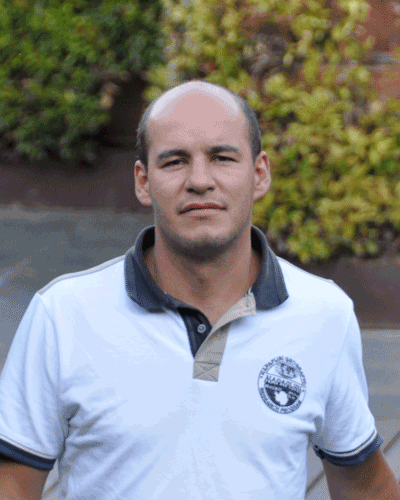 Nuno is a member of the ACM, IEEE Computer Society and IFIP TC 13.10 (Human-centered Technology and Sustainability).